As part of the capacity development team, Margarita leads on delivering NRGI’s global courses and partnerships with NRGI regional hubs. Before joining NRGI, Margarita spent the last 10 years working as a political science professor and researcher at different Latin American universities and as a consultant for public and multilateral institutions, such as the United Nations Development Program and U.N. Women. She recently spent time as visiting researcher at the University of Oxford and Queen Mary University, London. Her research has mainly focused on political parties, subnational politics and women’s political representation in Latin America. She has authored academic publications on these topics. Margarita has also extensive experience supporting civil society, government officials, parliamentarians, and political parties in promoting change. She holds a B.A. in political science from the University of Buenos Aires (Argentina) and a master’s in Latin American Studies and a Ph.D. in Political Science from the University of Salamanca (Spain). 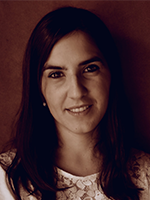 Margarita has lived and worked in Argentina, Chile, Colombia, Spain and the United Kingdom.